The Missouri Soybean Merchandising Council (MSMC) is a farmer run organization dedicated to improving the profitability of the Missouri soybean farmer through a combination of marketing, research and commercialization programs. We are committed to promoting and advancing innovative research, production and marketing solutions to maximize Missouri soybean farmer profitability. 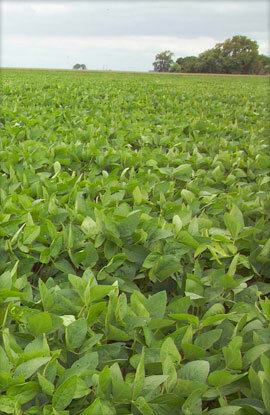 Empowering Missouri Soybean farmers through innovation. The Missouri Soybean Merchandising Council (MSMC) is truly a farmer-run organization, with 13 farmer-directors overseeing the investment of 50 percent of Missouri’s checkoff dollars. The farmer-directors are elected in statewide elections to serve his or her geographic region. MSMC activities are coordinated through a full-time staff in Jefferson City, Missouri. Every U.S. soybean producer participates in the checkoff contributing at a rate of 0.5 percent of the market price per bushel, when the crop is first sold. Half of all checkoff dollars collected in Missouri remain in Missouri and are overseen by the Missouri Soybean Merchandising Council. The other half is forwarded to the United Soybean Board (USB) where it is combined with funds from across the nation. The USB is run by farmer-directors from all around the nation. Every producer serves voluntarily without pay. The USB directors are nominated by the state soybean boards (in Missouri, the MSMC) and then appointed by the U.S. Secretary of Agriculture. Four Missouri producers sit on the USB board of directors. USB activities are coordinated through paid staff in St. Louis, Missouri. In 1991, U.S. soybean farmers created the national soybean checkoff. The U.S. Congress passed a provision as part of the 1990 farm bill to form the checkoff at the request of soybean farmers throughout the nation. The law required a referendum in 1994 to determine if the national checkoff program should continue. In this referendum, producers voted to continue the program. By law, there are only certain areas where soybean checkoff dollars may be spent. Under no circumstance can funds be used for lobbying purposes. The MSMC, along with partners such as the University of Missouri-Columbia, boast one of the top production research programs in the country. See how the MSMC and USB are working to boost your yields. Who is fighting for you?